In 1963, 26 families in Hinckley, Maine, formed a member-based association with a unique interest in converting old buses into family “house cars.” That was the beginning of Family Motor Coach Association (FMCA). Today, FMCA has grown to be the largest non-profit RV club in the world. 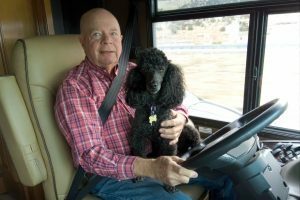 FMCA National President Jon Walker shares his thoughts about FMCA and the RV industry. We grew from humble beginnings because of an interest in camping. Those early-renovated buses pulled that small group together for a common goal: having affordable fun with their family. It sparked a whole new industry and a way for families to come together for healthy, fun, and affordable travel. What would an RVer want to join FMCA? It’s simple. 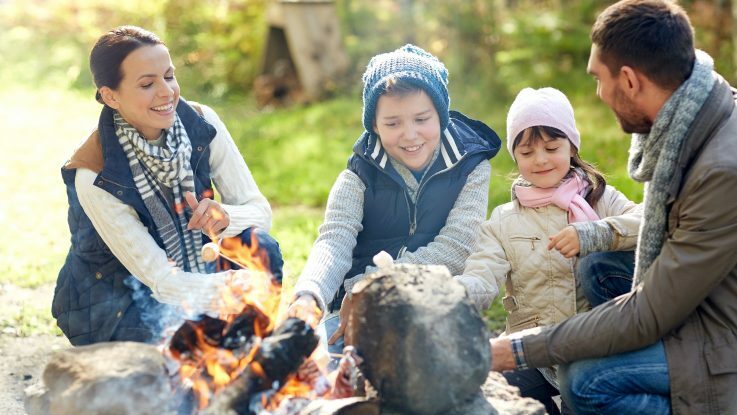 First, you can make life-long friendships around a campfire. With all our rallies and conventions, our members have an opportunity to meet new friends and share a common interest in exploring North America. Second, our member benefits are outstanding and getting better. FMCA’s road hasn’t always been smooth. With the economic downturn in late 2008 came a decline in membership. When the economy collapsed at the end of 2008, the RV industry was hit hard. As a result, RV sales decreased, as did our membership. This was the first time FMCA faced declining membership. FMCA began to grow again in 2016. What spurred this new growth? A good economy and our new member benefits. Our current growth has allowed us to offer our members some new and very attractive benefits, such as campground discounts, Roadside Rescue, mail forwarding, and RV insurance. Our buying power makes RVing more affordable for families, saving our members money. Formerly, FMCA was a club for motorhome owners. FMCA held a historic vote to open club membership to all owners of self-contained RVs. How did the vote come about? During the downturn, we searched for ways to keep our association strong. We went out to chapter meetings to get member feedback. One of the questions we asked members was if their current motorhome was their first RV. Overwhelmingly, the answer was NO. Our membership is family-based and most started out in pop-ups, travel trailers, and 5th wheels before purchasing their present motorhome. I feel that was a tipping point for us. What were the vote details? In 2017, FMCA put a proposal in front of the membership. The proposal called for opening membership to all self-contained, pull-behind RVs such as travel trailers and 5th wheels. It was not without controversy, for many members were concerned about losing the association’s long-standing motorhome exclusivity. Our leadership went out to chapter meetings and conducted input/feedback sessions with our members. We studied a number of potential options including two separate sub-groups. But after those visits, we came to the conclusion that we would be a stronger association as a unified membership. The new membership eligibility proposal was passed in November 2017, and the new eligibility requirements went into effect in December. What’s on the horizon for FMCA going forward? RVing is continuing to grow. Many view RVing and the iconic “road trip” as an economic, wholesome, and healthy way for their family to explore North America. FMCA is here to help them live that dream. And, remember FMCA’s unofficial motto: it’s all about having fun! Want to learn more about FMCA? Click here. Interview courtesy of Len Magsamen.